The Monitor's 2018 All-Area Coach of the Year Jaime Perez, Edinburg Vela, poses at Vela High School on Wednesday, June 6, 2018, in Edinburg. 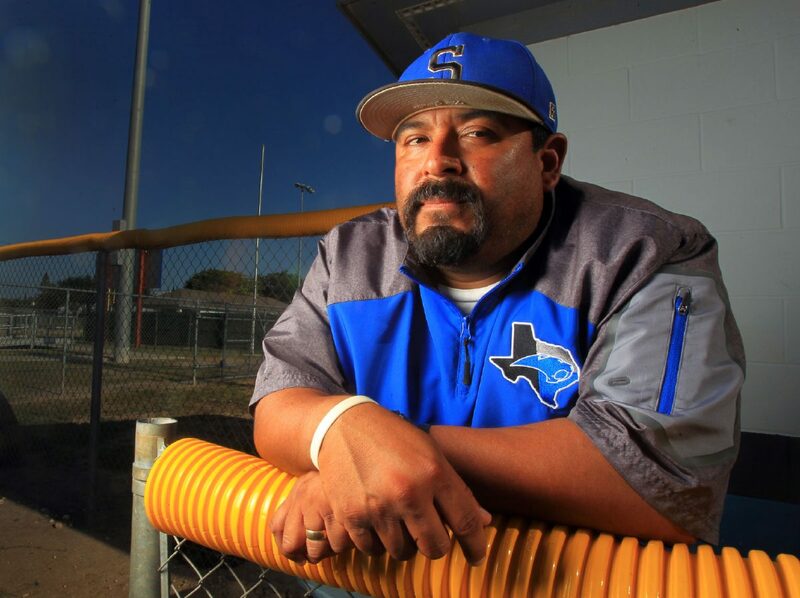 EDINBURG — Every morning, when Edinburg Vela coach Jaime Perez wakes up he has a task to get started on right away, whether it’s helping out on the family farm, driving one of his three sons to a baseball game or preparing for another day of SaberCat baseball. Perez took the Vela job in 2014 and the SaberCats haven’t missed the playoffs since. 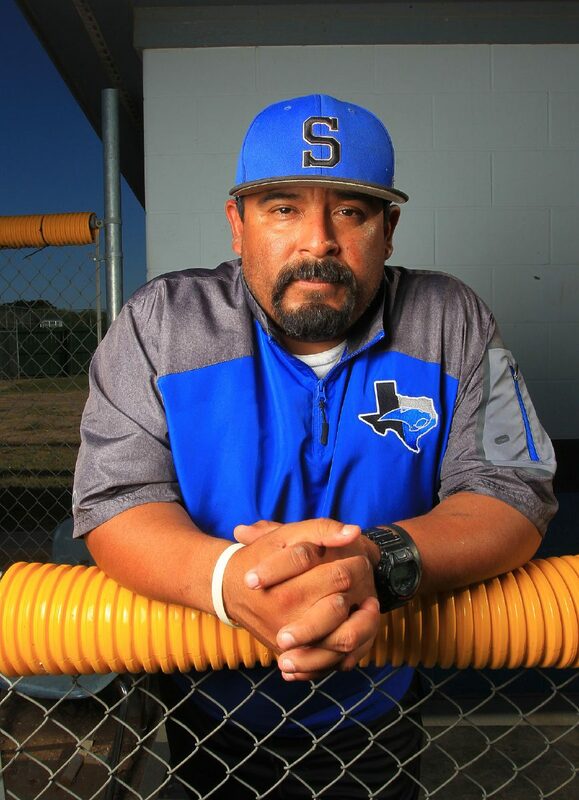 In that time, Perez has grown the program from the little brother in ECISD to one of the most dominant baseball programs in the Rio Grande Valley. For his work developing the program, and his work cultivating the seeds of his labor this year, Perez is The Monitor’s 2018 All-Area Coach of the Year. All-Area baseball Coach of the Year, Jaime Perez, Edinburg Vela, poses at Vela High School on Wednesday, June 6, 2018, in Edinburg. Four years ago, Perez turned to his freshman Aaron Galvan to pitch the bi-district title-clinching game. Now, Galvan and the rest of Perez’s first senior class are set to graduate. The seniors, Felix Ramirez, Angel Salinas, Adam Alviso, Joel Jasso, Joey Recio, Matthew de la Cruz, Andre Martinez and of course Galvan, went out with a bang. This year, Vela went 29-7 overall and 13-1 in District 31-6A, earning the baseball program’s first ever district title. And they won some big games down the stretch to ensure that they would be the lone district champs, no sharing this title. As much as it may sound like this is the end of an era, it’s almost the opposite. The freshman catcher had a batting average just under .500 heading into the district season and forced the team’s hand. Mito also gave a tremendous effort on defense. He had one error all year and he caught as many innings as are humanly possible (he appeared in 30 games this season). Even in Vela’s final game, on a scorching hot afternoon, Mito caught all seven frames. The Perez family dynasty doesn’t end there. Perez’s two younger sons, Israel Izzy Perez, 13, and Julian Augie Perez, 9, also get to take cuts at dad’s pitching. Soon enough the younger Perez boys will, hopefully, join the SaberCats, but until then the 2018 team led my Mito, Ramsey Amador and Nico Rodriguez are ready to defend their title.